I’m probably not the only book blogger who ends up reading many more books than she actually blogs about, at least I hope I’m not. Most often it’s because I don’t always anything to say that I think the Internet wants to read after I finish a book. Partly because of that, and partly because I thought it would be fun, I thought I might wrap up this year in reading in the perennial tradition of the internet and the end of the year: with a best-of list. I am always looking for authors whose writing style echoes Mary Stewart, and this year, I found someone who actually comes really close! 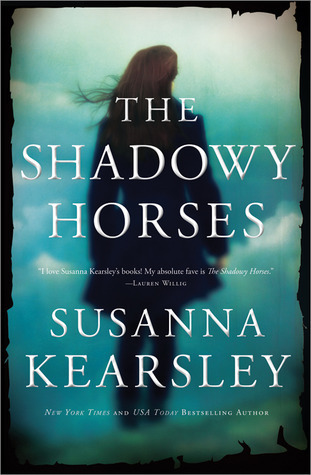 Susanna Kearsley writes delightful books: history, mystery, and romance combine with light paranormal elements to make for really enjoyable reading. I started with The Shadowy Horses (my favorite so far), and I still daydream about Eyemouth, Scotland. If light paranormal elements (clairvoyance, etc.) aren’t your cup of tea, you might try Every Secret Thing, which was published under a pseudonym (Emma Cole) – every bit as good as her other books, but without the fantastical elements that may not be to everyone’s taste. I’ve yet to outgrow my liking for books where the right girl meets the right guy and then after going through a few requisite troubles and misunderstandings, they’re well on their way to the proverbial happy-ever-after. There are times when, frankly, nothing else will do but that sort of story, but it’s harder than you might think to find a story like that that isn’t plagued by shoddy writing or besmirched by either the trappings of the romance novel (“bodice ripping”) or extensive bad language, or both. Which is why, when I discovered Hester Browne’s books this year, I was overjoyed. 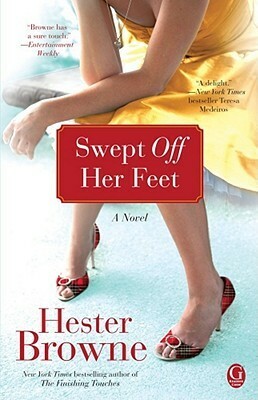 I started with The Runaway Princess, but Swept Off Her Feet is my favorite so far. 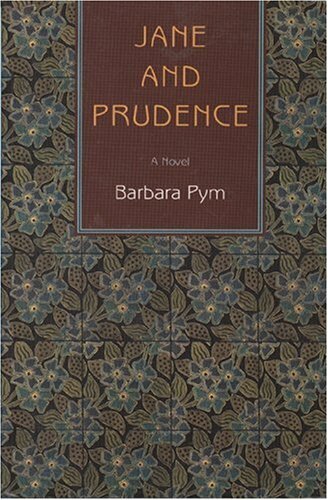 Jane and Prudence, by Barbara Pym. Oh, how I love Barbara Pym! I’m not sure anyone does social satire better than she does. Who else delivers us such gems like this one, about an awkward social visit: “She had been feeling that things were pretty desperate if one found oneself talking about and almost quoting Matthew Arnold to comparative strangers, though anything was better than having to pretend you had winter and summer curtains when you had just curtains.” Jane and Prudence is another example of Barbara Pym at her best. I loved it fiercely. The Tortoise and the Hare, by Elizabeth Jenkins. I wrote about this book months ago, but I’m still thinking about it, and it was truly some of the finest writing and characterization I’ve read all year. Highly recommended, in spite of its bleakness. The Age of Miracles, by Karen Thompson Walker. I’ve also already written about this one, and recently, but…have you read it yet? You should really read it. Best Surprise: Leviathan Wakes, by James S. A. Corey. This was my best – and biggest – surprise read of the year, because it wasn’t a book I thought I’d enjoy as much as I did, and I certainly didn’t expect to connect with or care about the characters as much as I did. Greatest Reading Feat: Middlemarch. Enough said. Best generally bookish thing(s): Joss Whedon’s adaptation of Much Ado About Nothing tops the list, followed closely by Tom Hiddleston’s portrayal of Henry V in the BBC’s Hollow Crown miniseries. If you didn’t see it when it aired on PBS in the US, well, stream it on Amazon as instantly as possible. Both of these were too good to miss. So tell me: what tops your list of best books and/or best general bookishness for 2013? This entry was posted in Books, Reviews, and Reading and tagged Barbara Pym, best of 2013, best of the year, books, Elizabeth Jenkins, Hester Browne, James S. A. Corey, Karen Thompson Walker, reading, Shakespeare adaptations, Susanna Kearsley on December 23, 2013 by ms.grammarian.